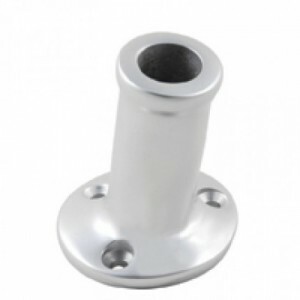 Please ensure that the rod is firmly inserted into the moulding to ensure free swivelling.Stainless ..
Pressure die cast aluminium clips for easy attachment and release of flags, blocks and other fitting..
C Quip Flag Pole Socket Stainless Steel 1"
Cast stainless steel raked flagpole socket 25mmBase Dia. 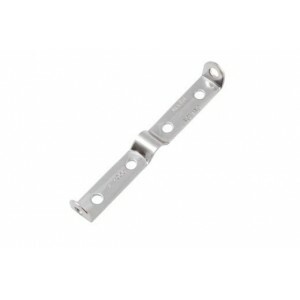 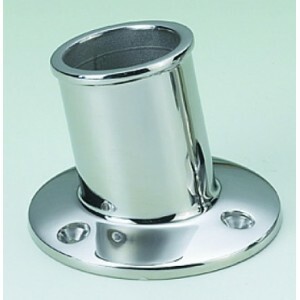 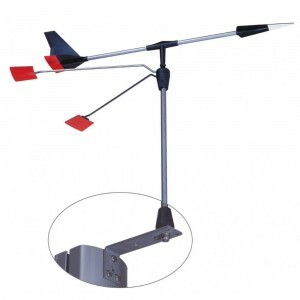 66mmFixings: 3x M5csk..
Rail Mount Stainless Steel Pole kit with accessories.This Rail Mount accessory is designed for easy ..
Clyde Crusing Yacht Club burgees made from woven polyester, sewn, roped and toggled, ready to fly. 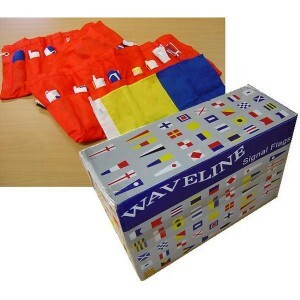 ..
Top quality woven polyester.1 yard: 36" x 18" (91 x 46cm) 1.25 yard: 45" x 22" (114 x 58cm) 1.5 ya..
Sewn, roped and toggled ready to fly. The design appears on both sides, but is read correctly on on..
Top quality woven polyester.Sewn, roped and toggled ready to fly. 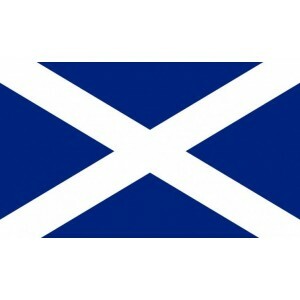 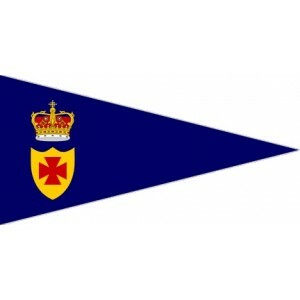 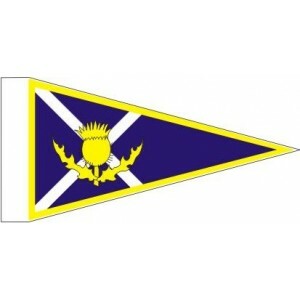 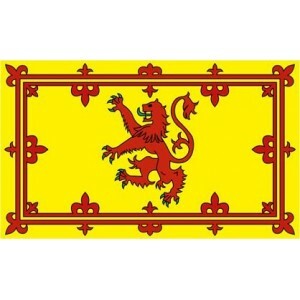 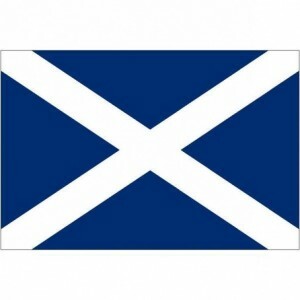 The design appears on both sides,..
Royal Scottish Motor Yacht Club burgee made form quality woven polyester.Sewn, roped and toggled rea..
Quality woven polyester.Sewn, roped and toggled ready to fly. 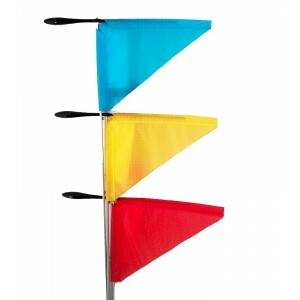 The design appears on both sides, but..
Made from woven ployester, complete with rope and toggle ready to fly..
France courtesy flag 45x30cm printed 100d polyester.All printed courtesy flags are on 100d polyester.. 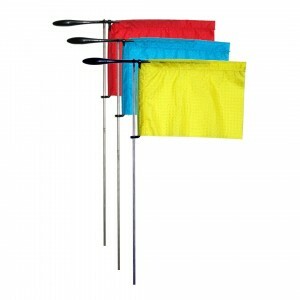 This complete set of 40 signal flags comes complete with 40 pocket toll up holder and includes:-26 x..
Base diameter 67.5mmSocket length 71mmInternal diameter 25.4mmFixing holes M5..
15in Model. 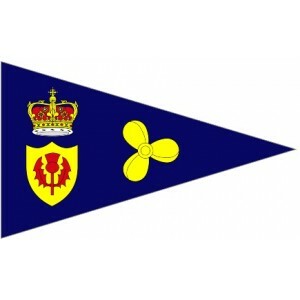 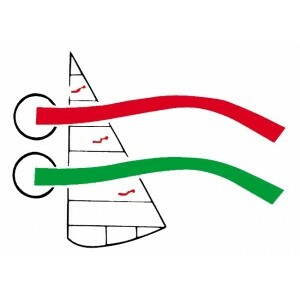 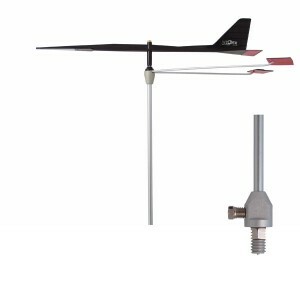 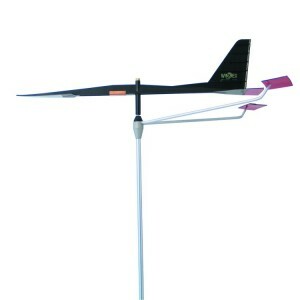 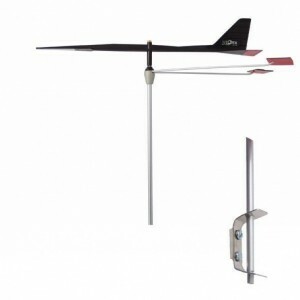 Wind Indicator for keel boats.A lightweight balanced vane arm mounted above two referenc..
A lightweight, balanced vane-arm mounted above two reference arms for boats up to 26ft, enabling the..
Cruising Burgee, similar to the racing burgee, but the flag is a triangle instead.Use the Burgee fla.. 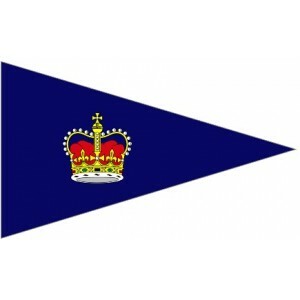 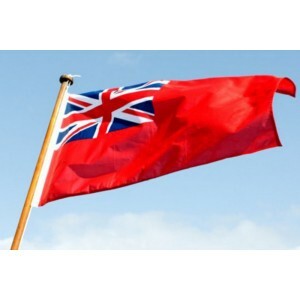 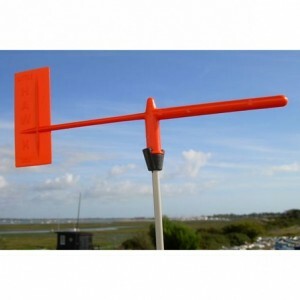 The Holt Racing Burgee is ideal for dinghy mast head applications. 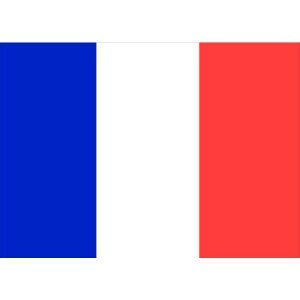 Lightweight and responsive for ac.. 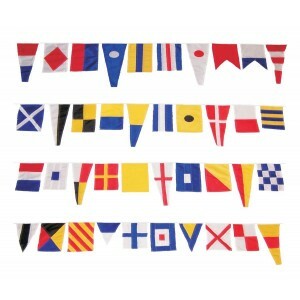 Flag size: 110x210mmShaft length: 225mmPack of 1..
International maritime signal flags refers to various flags used to communicate with ships. 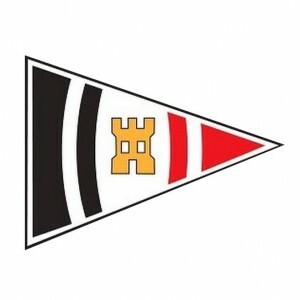 The prin.. 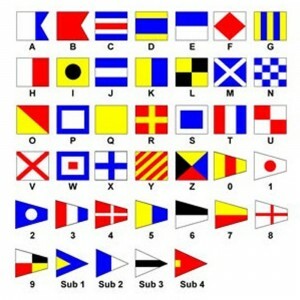 Even in these days of radio and satellite communications, international alphabet flags, numeral pen.. 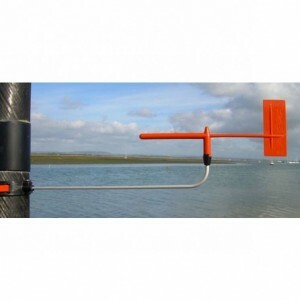 This varnish boat flag pole comes complete with a flag string roller at the top, for threading the g..
TypeFlagpole mountLength83 MMWeight200 GWidth105 MM.. 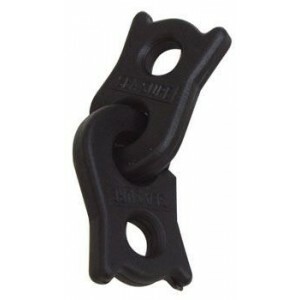 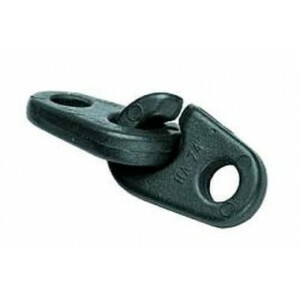 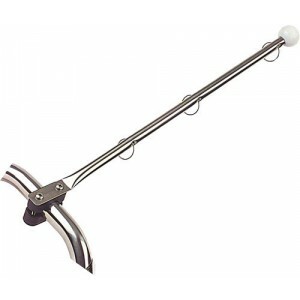 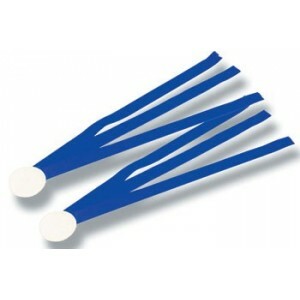 These nylon hooks are ideal for securing covers and are prevented from disappearing into cord runs b.. 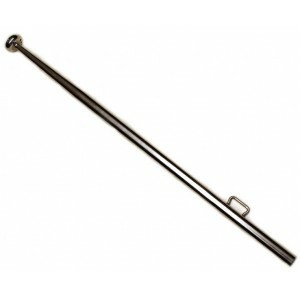 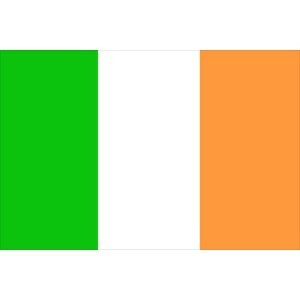 These stainless steel flag staffs are available in 3 different lengths with holes predrilled in the ..
Ireland courtesy flag printed 100d polyester. 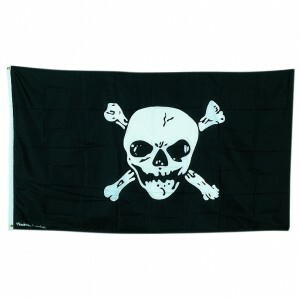 45 x 30cmAll printed courtesy flags are on 100d polye.. 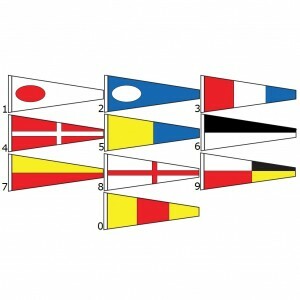 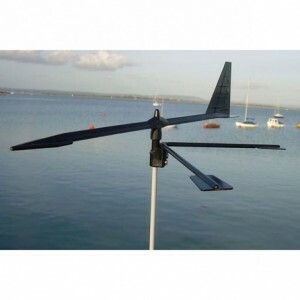 The WINDEX 10 - For Smaller KeelboatsThe WINDEX 10 was designed as smaller version of the famous WIN.. 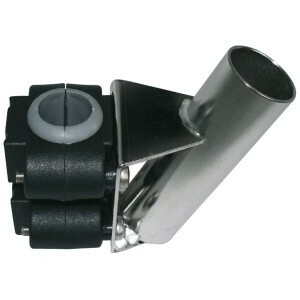 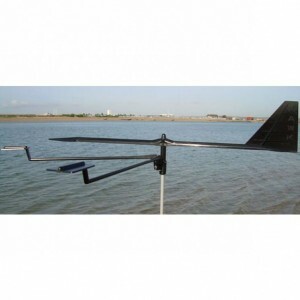 The WINDEX Dinghy is designed for dinghys and smaller sailing boats with the WINDEX quick release at..